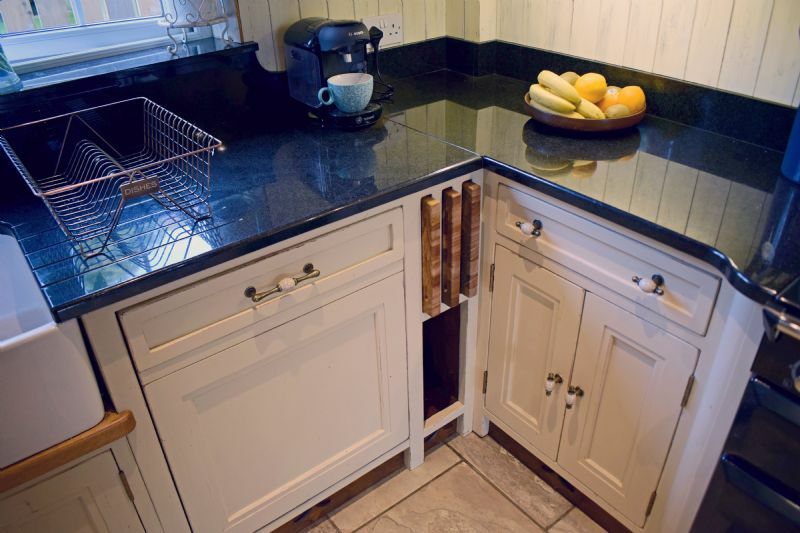 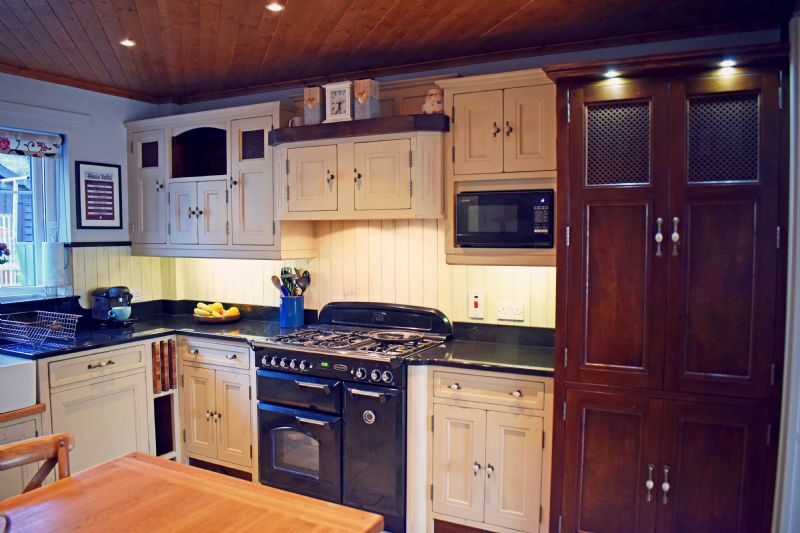 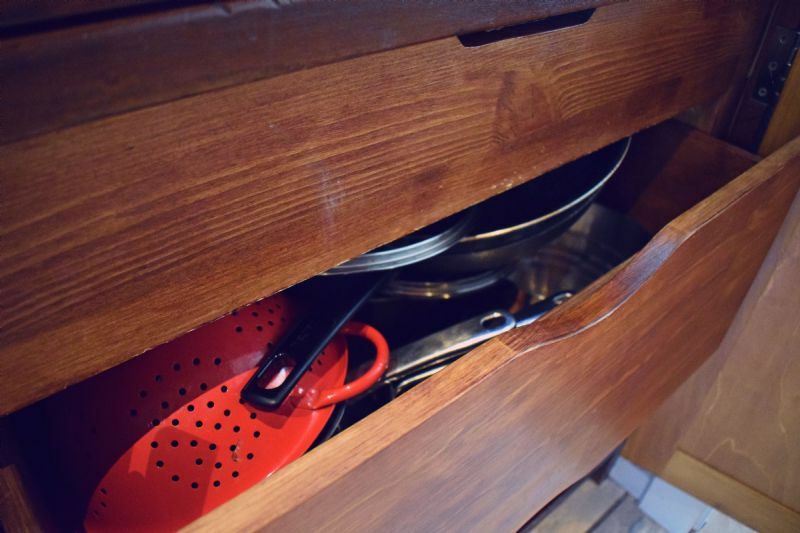 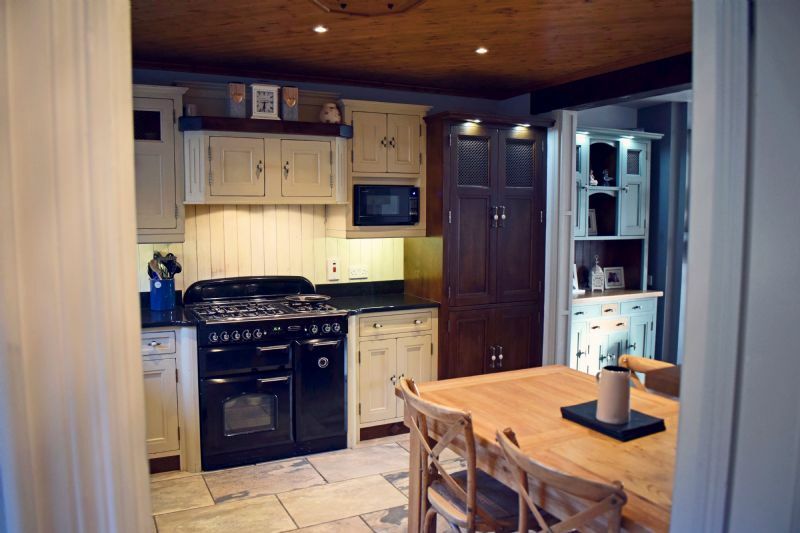 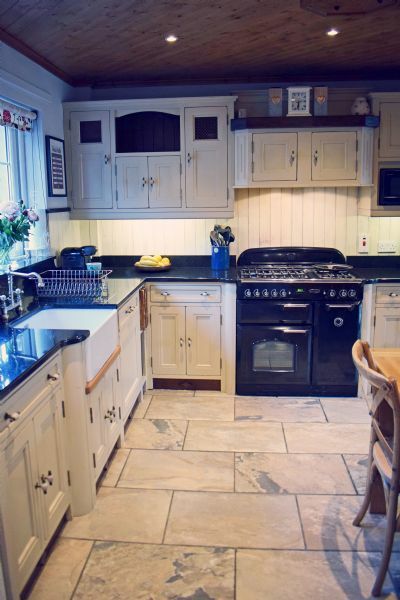 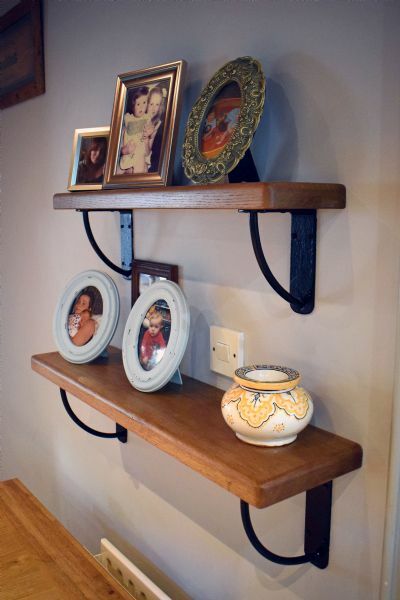 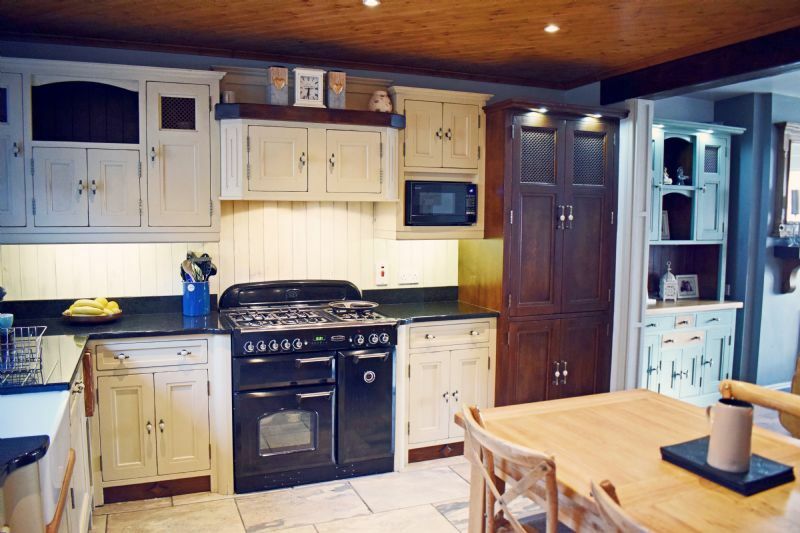 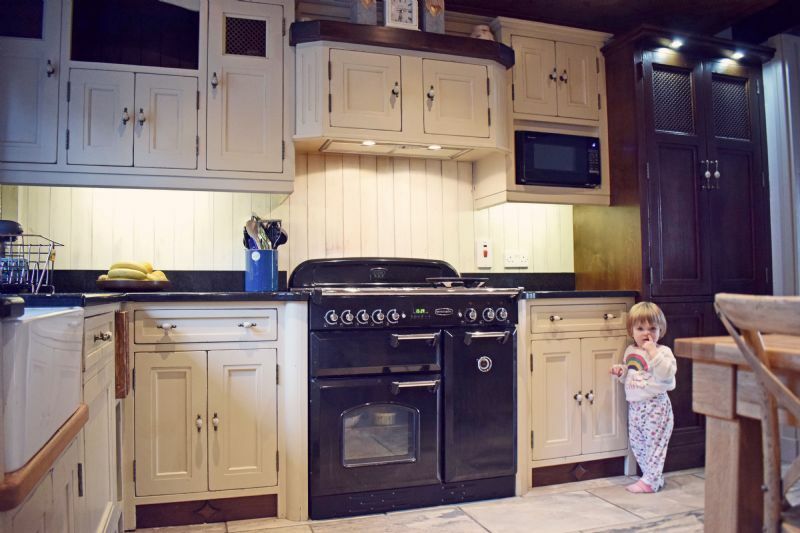 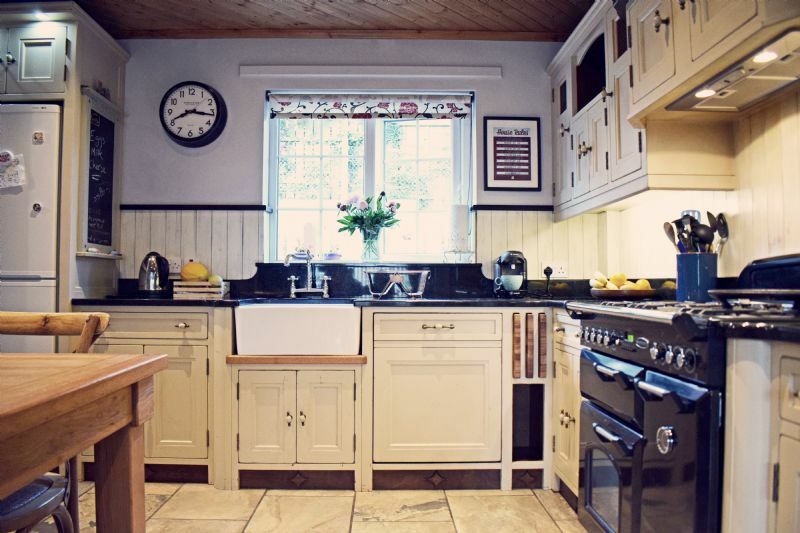 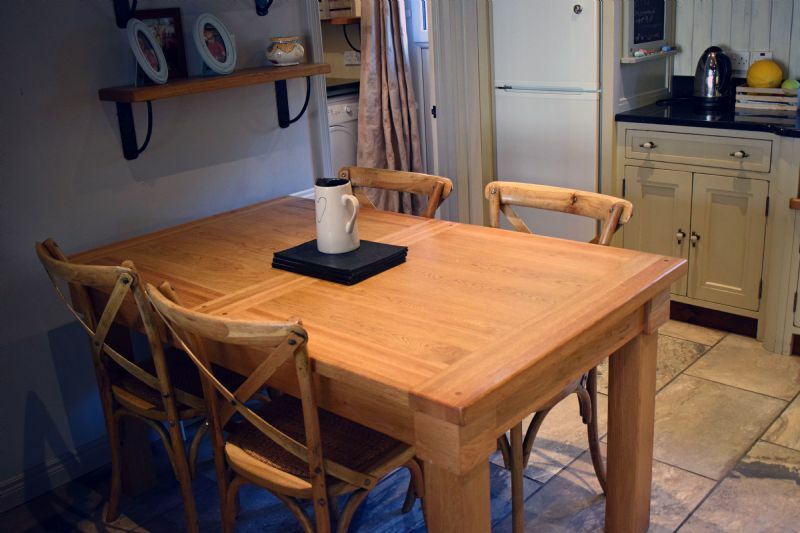 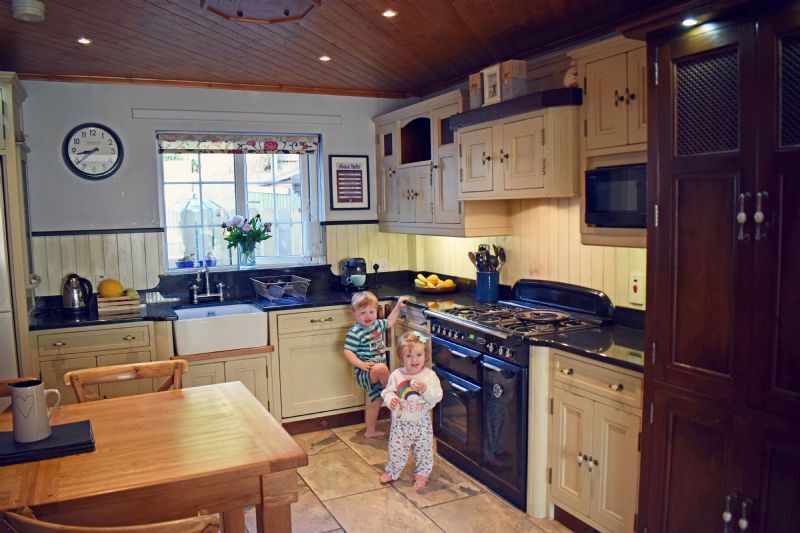 Ross and Eimear’s kitchen was made and fitted by us six years ago, and it’s still looking great today. 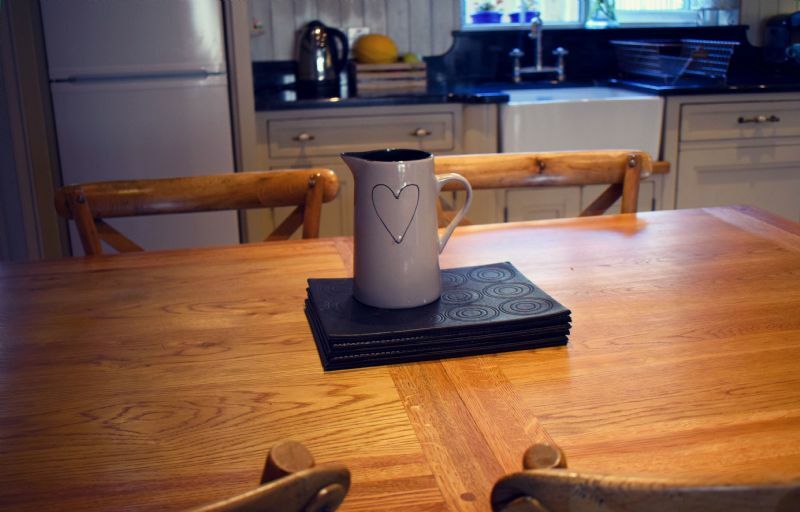 It’s seen a lot of family life in that time; new additions to the family, birthday parties, dinner parties, laughter and tears, first steps and scuffed knees; it’s been a rainy-day playground, a hub for the family to gather together, a place to entertain, and a sanctuary of familial comfort and warmth at the end of a long day. 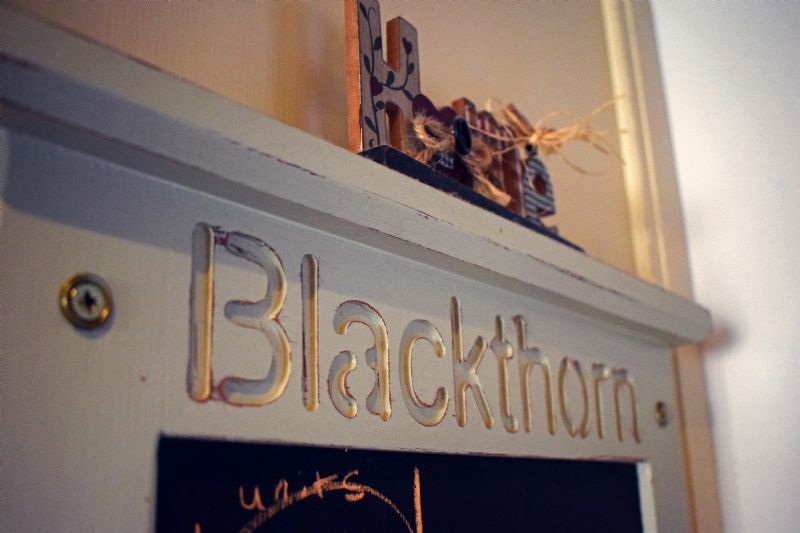 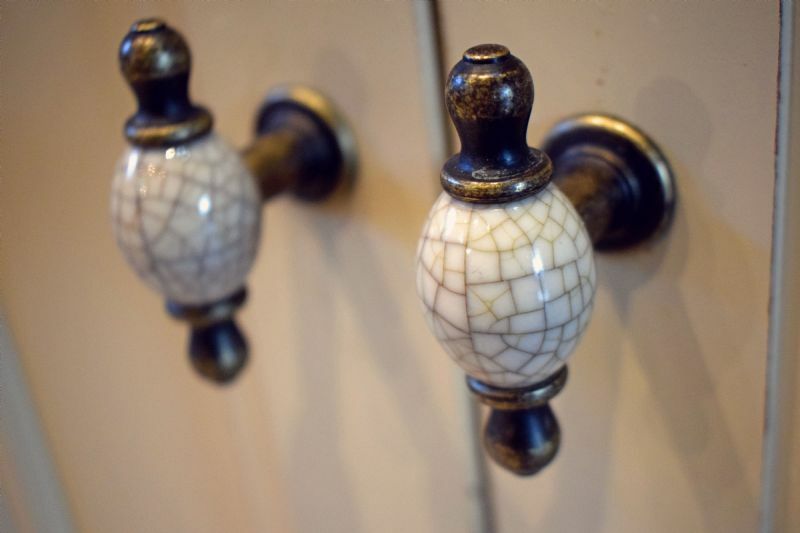 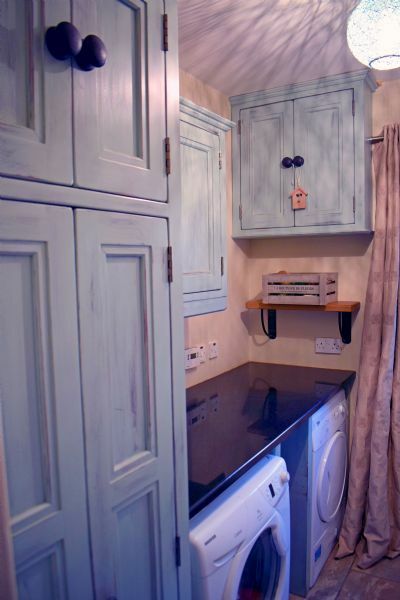 The main units in the kitchen are hand painted in Farrow & Ball Stony Ground, with a wood stained larder, a granite worktop, and a Belfast sink. 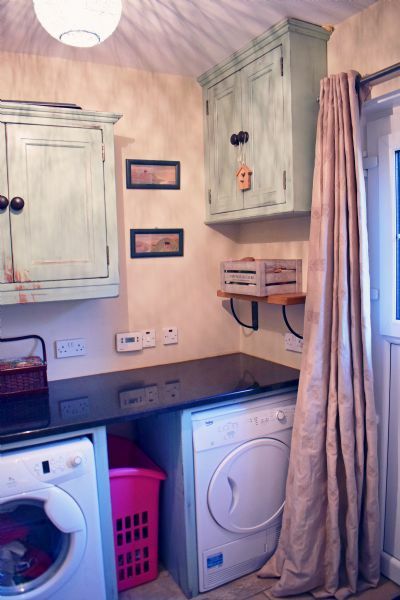 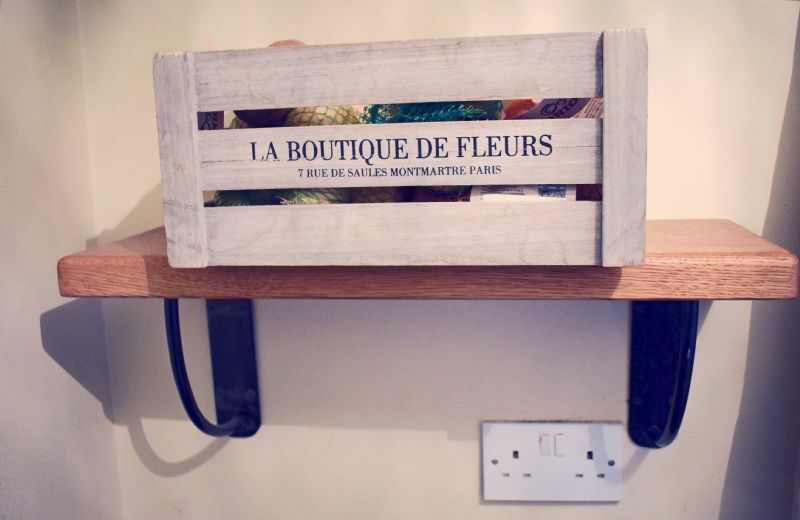 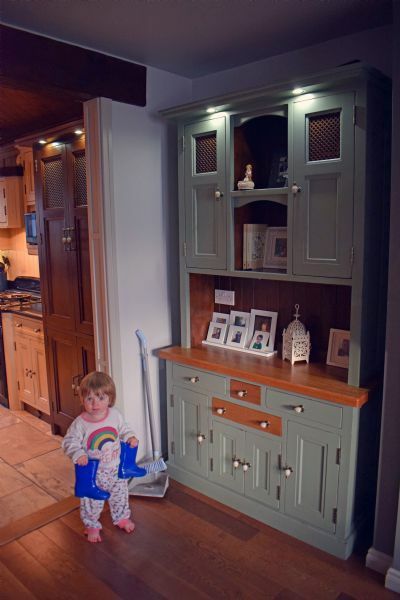 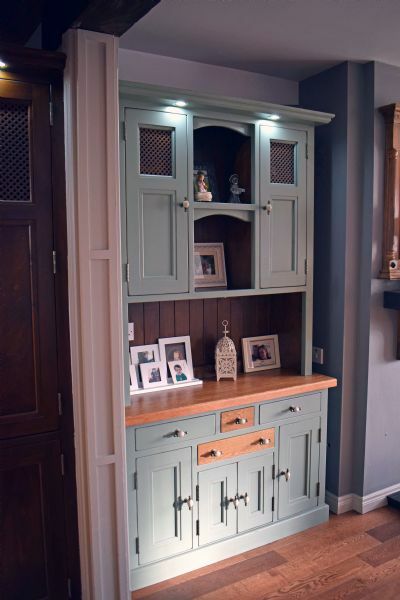 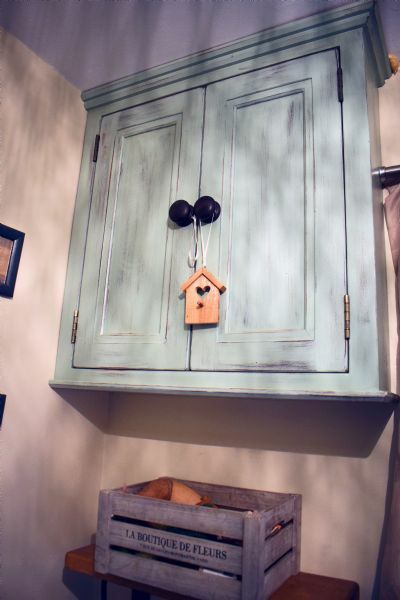 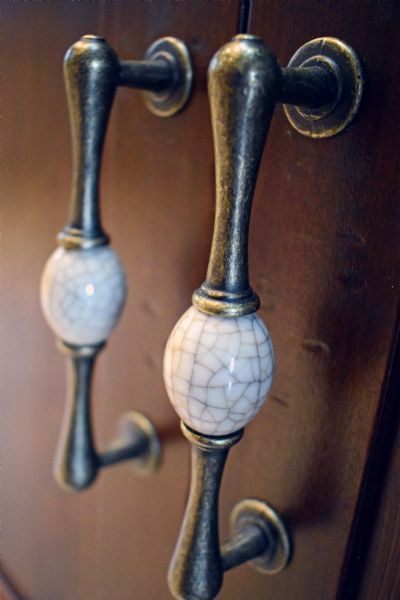 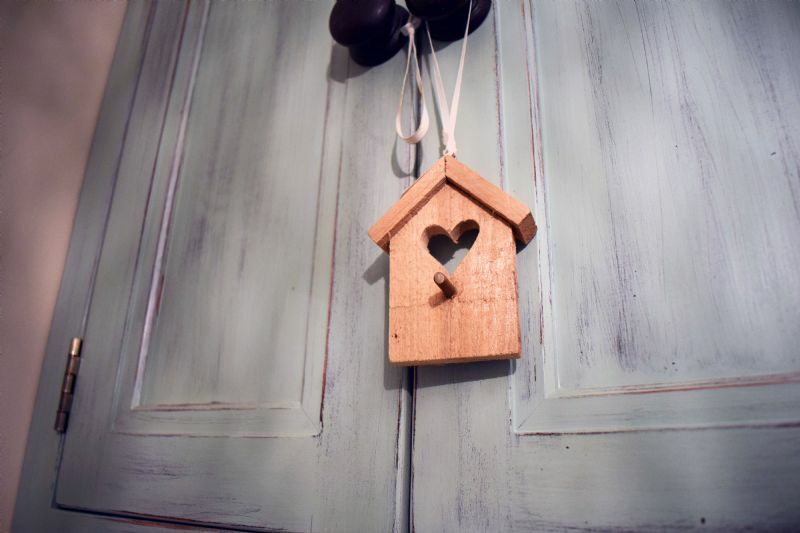 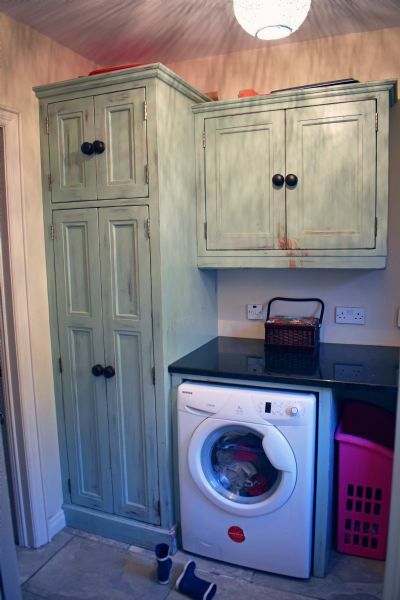 The utility room is hand painted in Farrow & Ball Dix Blue, with an aged finish, and the dresser is hand painted in Farrow & Ball Card Room Green. 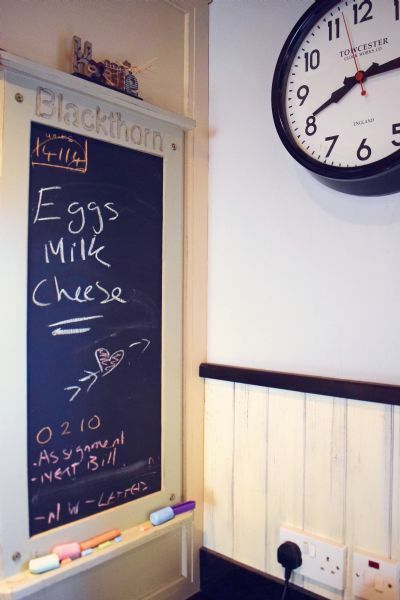 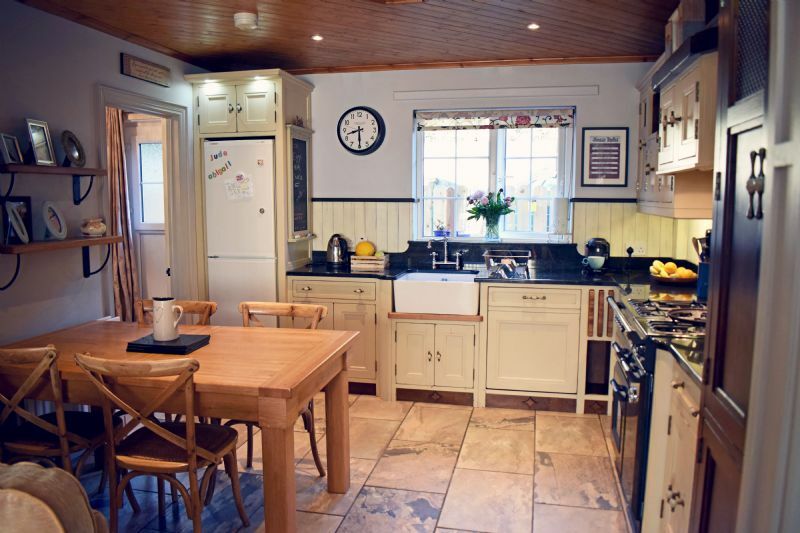 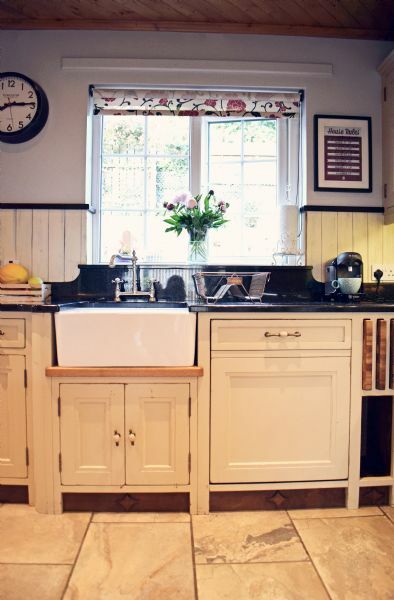 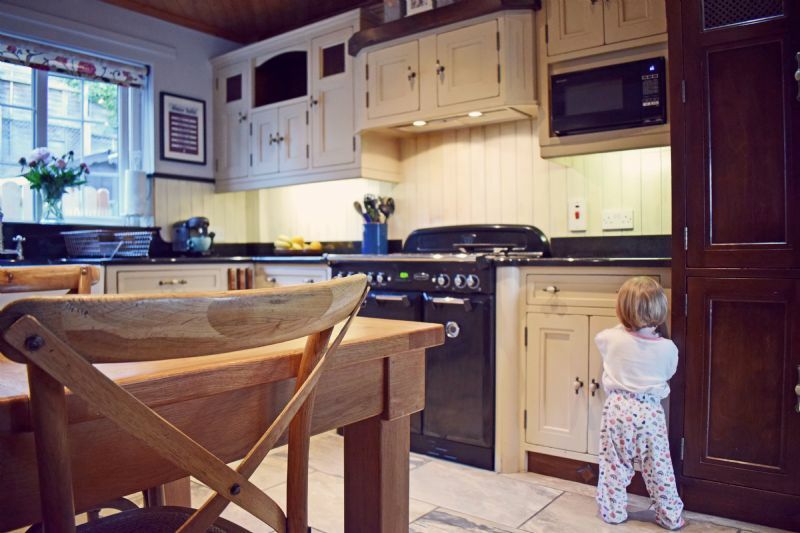 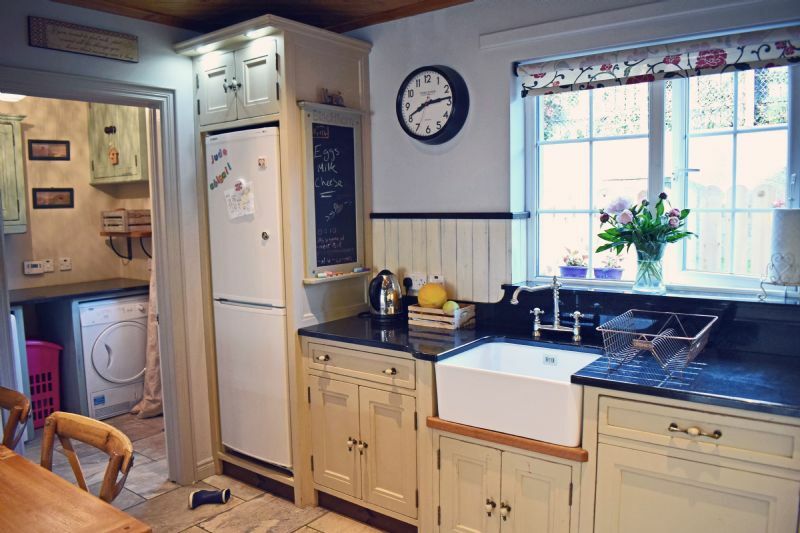 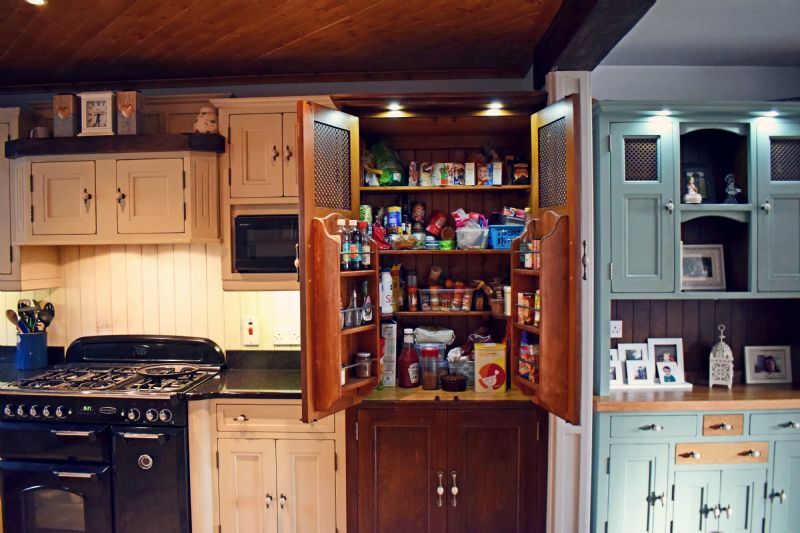 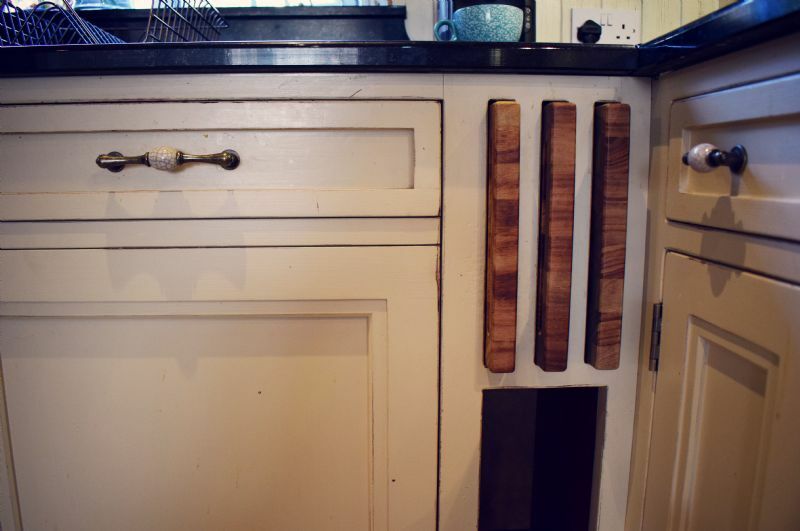 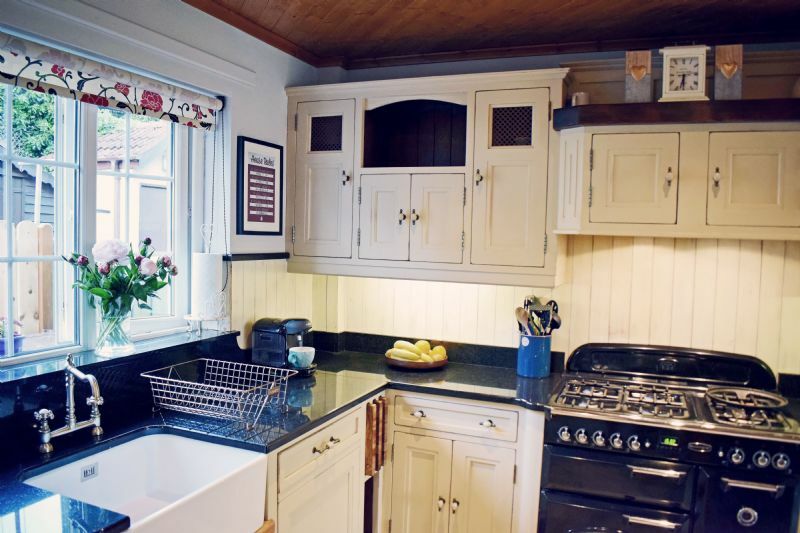 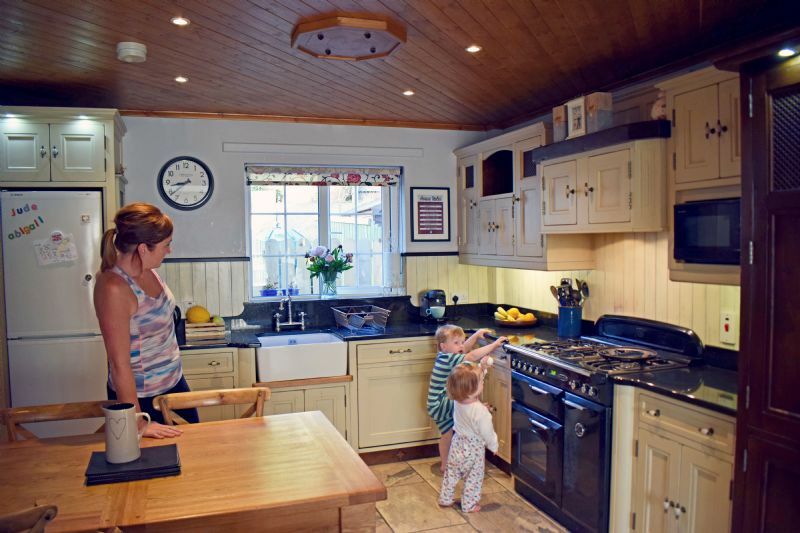 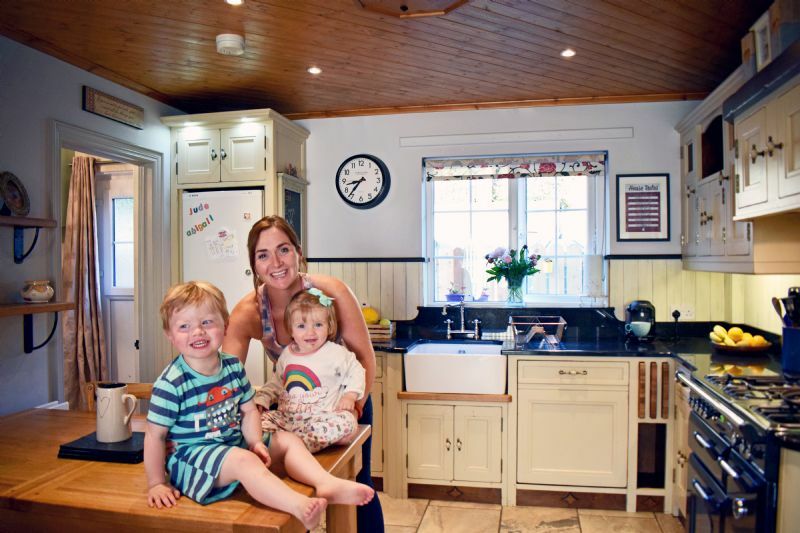 Eimear and Ross are delighted with how well their kitchen has withstood the test of time (and a busy family life).